I have missed the past several months, and am finally playing along with the PTI Blog Hop this month. With all the changes (departures) going on, I am wondering if this will be the last blog hop? I hope not, but just in case it is, I didn't want to miss it. This month, we have this photo for our inspiration. I was immediately drawn to the pattern on the upper cake, and pulled out a very old set, Background Basics Random Stripes for my card. I also used some older flower stamps, Beautiful Blooms II in colors inspired by the colors of the flowers in the inspiration photo. Let's make it a PTI all the way post. My next card is for this week's Transformation Tuesday challenge. 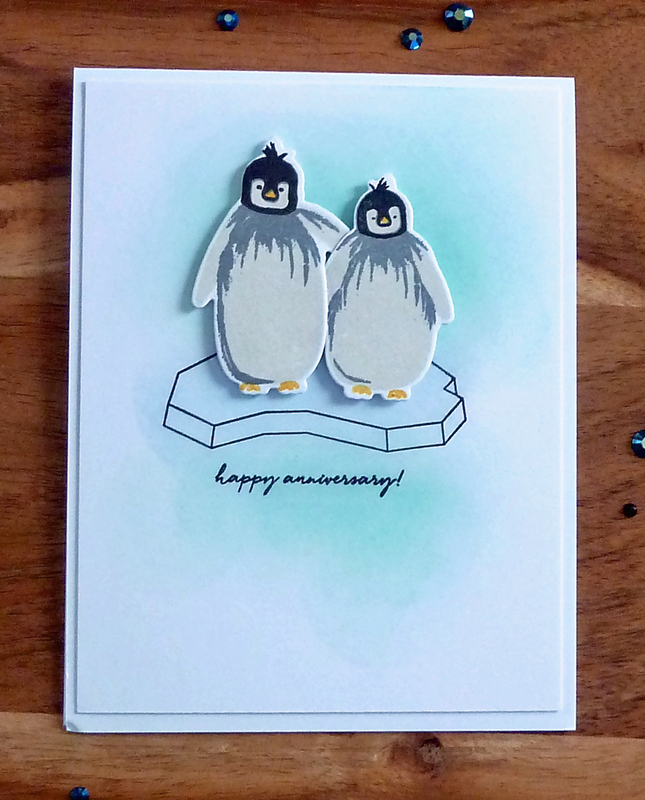 I wanted to take this card I made using Brushed Birds, and create a simple card using my new Warmer Together stamps, which looked to me like Brushed Penguins. I kept the design similar, and changed the animals and the colors. Joyce, two simply wonderful cards. Love your take on the blog hop, those flowers are as sweet as can be. And your adorable penguins, just so cute! Two lovely designs Joyce! 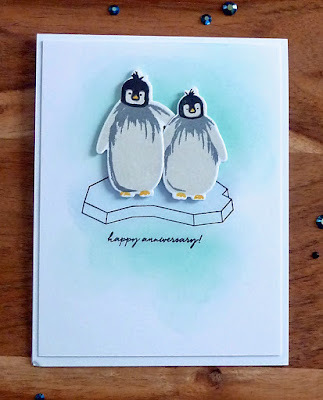 Love the black/white strip and the way you cut up your sentiment on your first card - and your penguins are so fun on their iceburg! Two awesome cards Joyce. 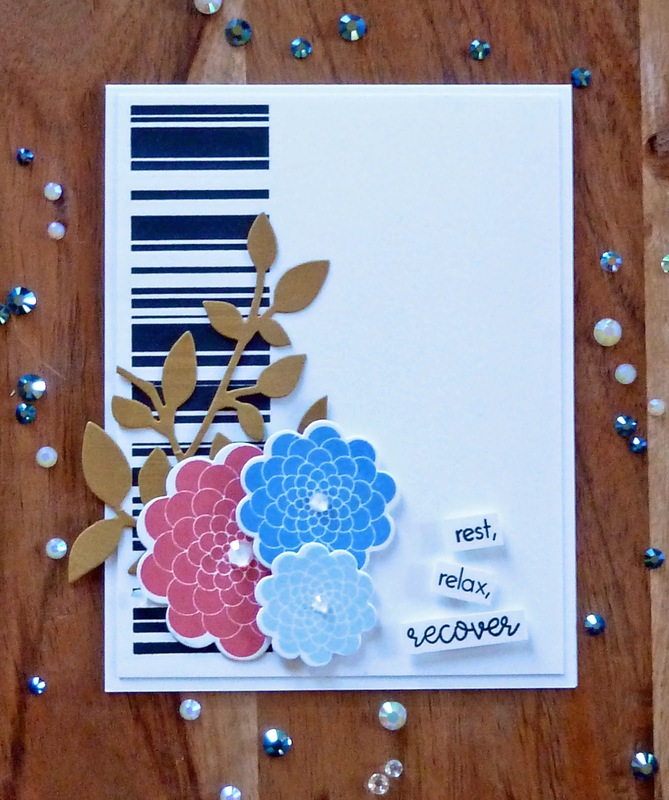 Love your beautiful blog card. 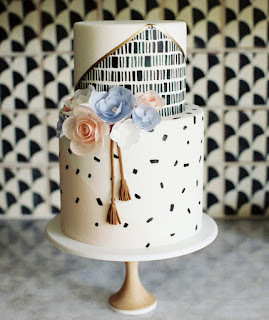 The stripes on the side to highlight your Beautiful Blooms is so pretty. The penguins are adorable. Both fabulous card Joyce! 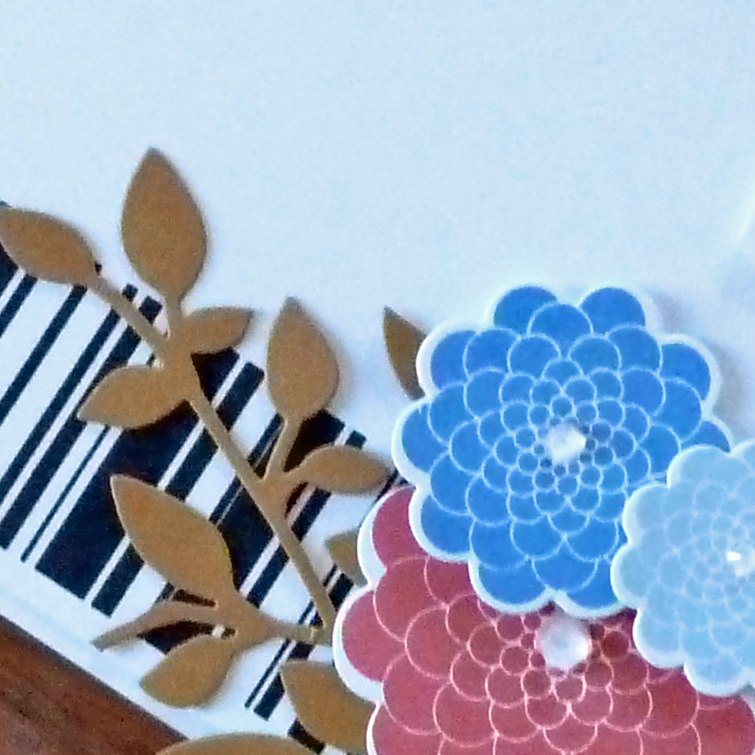 Your blog hop card looks great with the stripes down the side with the beautiful flowers and then penguins are just perfect for the Transformation Tuesday challenge! Love your pretty CAS card for the hop! Your penguins look right at home on their iceberg, so cute! I love the deconstructed look of the first card. You did a great job capturing the elements of the inspiration. 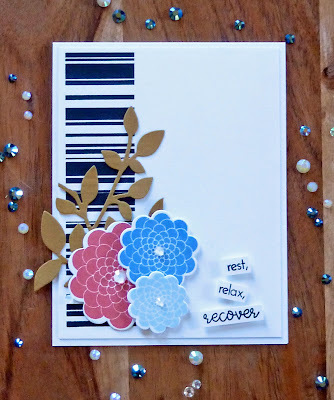 Fabulous blog hop card--love those pretty blooms and great sentiment! And your transformation birds are both wonderful. Love those sweet penguins! 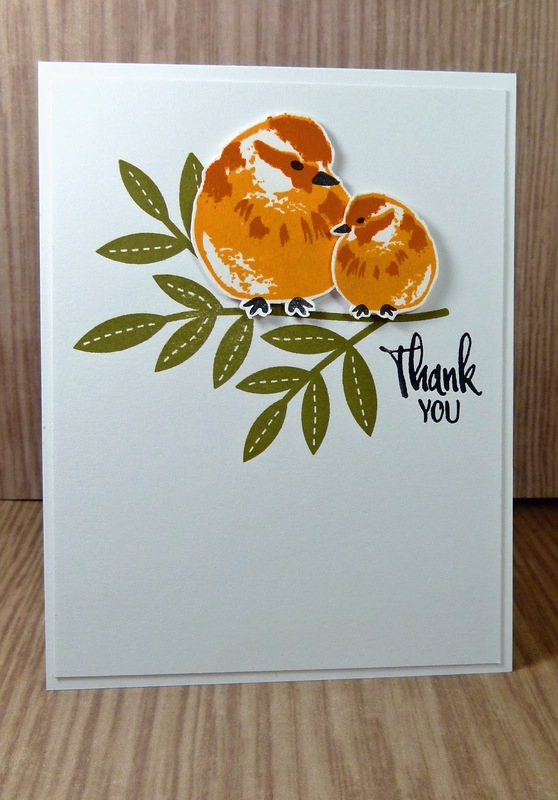 Another collection of fabulous cards, Joyce! LOVE how you played with the Brushed Birds...they are so sweet!